In 2008 the three friends Hussein Suleiman, Jefferson Osei and Abderrahmane Trabsini from Amsterdam launched a blog called the Daily Paper to discuss current fashion and streetwear topics and trends. Hussein, Jefferson and Abderrahmane did not just want to talk about the urban fashion scene, but even design fashion and to help shape the trends of tomorrow. In 2008 the three friends Hussein Suleiman, Jefferson Osei and Abderrahmane Trabsini from Amsterdam launched a blog called the Daily Paper to discuss current fashion and streetwear topics and trends. Hussein, Jefferson and Abderrahmane did not just want to talk about the urban fashion scene, but even design fashion and to help shape the trends of tomorrow. So four years later, the three put the whole blog thing on hold and turned Daily Paper into a real label. Inspired by the founder’s own African heritage and passion for contemporary fashion an alternative path has been found, turning Daily Paper into a well-respected creator of authentic ready-to-wear garments. The menswear label is known for being affected by different African cultures incorporating these influences into modern design with a unique rugged character. The quality of their fashion for the boys and girls is absolutely the focus. The materials are flawless and carefully processed. So, many big labels like Solebox, Puma, Filling Pieces and Sandalboyz knocked at the door and started collaborations with the label. DEERUPT – disruptive through the simplicity of the grid. A contemporary interpretation of heritage, translated into a radically new look. The next Montana BLACK Artist Edition is out now! No. 15 features not just one artist, but in fact the much loved German/French artists dou, Mina & Bruce. Packing double the punch of a normal limited edition release, the colors chosen this time from the Montana BLACK 400ml High-Pressure Line are BLK 6310 Olymp by Mina and BLK 5200 Ice Blue by Bruce. 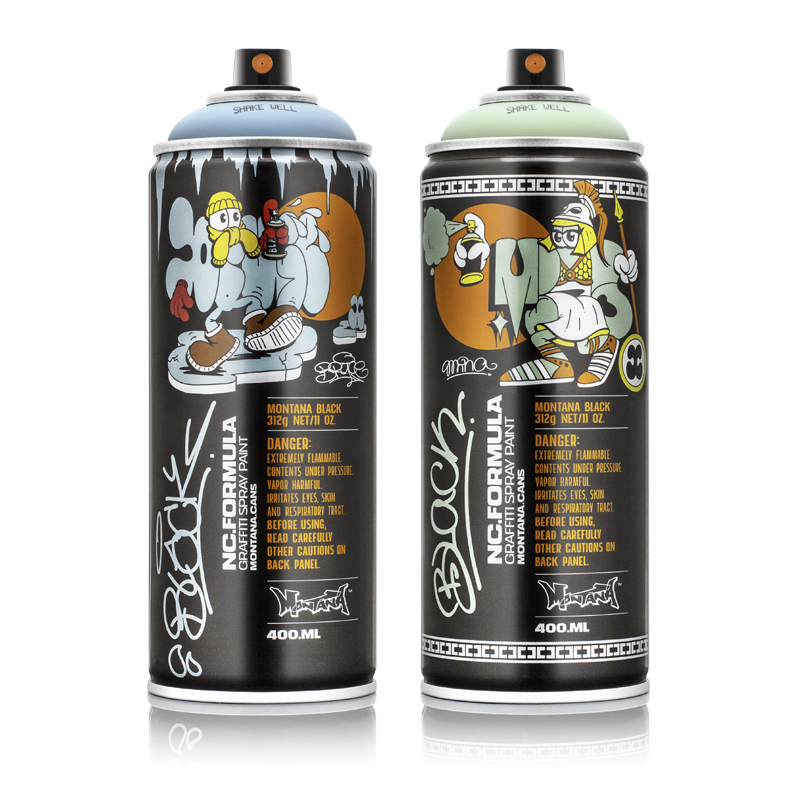 With their uncanny knack of being able to marry classic graffiti, a love for throw ups, humour in cartoon like illustration, all with just the right amount of style, it is an honour to be able to release two such impressive cans in one release. Raised by Wolves is a Canadian streetwear brand established by Pete Williams, former editor-in-chief of Highsnobiety, that takes a strong approach to stand out for excellent standards of quality with clear boldness in every single garment that points out the brand’s strong ties in streetwear culture. By solely producing in America, Raised by Wolves adds on to their sobriety that leaves no doubt about their authenticity. A singular design philosophy from the adidas archives becomes wearable art, as adidas originals progresses the grid to its most fashionable form.